Here’s a Grand Old Hymn submitted by loyal SFL reader Dan. Evidently the children in his church used to march around the room to this…peppy (yes, we’ll stick with that) tune. Once can only hope they did it on the 2 and 4. 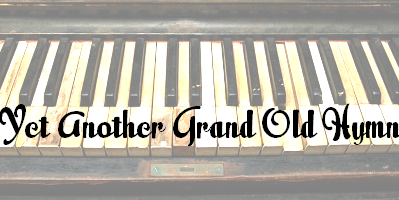 Do you have a Grand Old Hymn you’d like to share? Hurl it into the suggestion box.